ITV today claimed it was benefitting from "growing concerns" about digital advertising and malware and insisted it can outperform the TV ad market in 2016, despite lagging the market in a flat first quarter. Adam Crozier, the chief executive, said the "phasing" of the year was different because of its coverage of the Euro 2016 football tournament in the summer and he expects ad growth over the year. January was down 1 per cent, February was down 4 per cent, March is up 5 per cent and April is forecast to be down 5 per cent. City analysts at the broker Investec said the ad performance was "below our expectations" and ITV's shares fell more than 2 per cent. 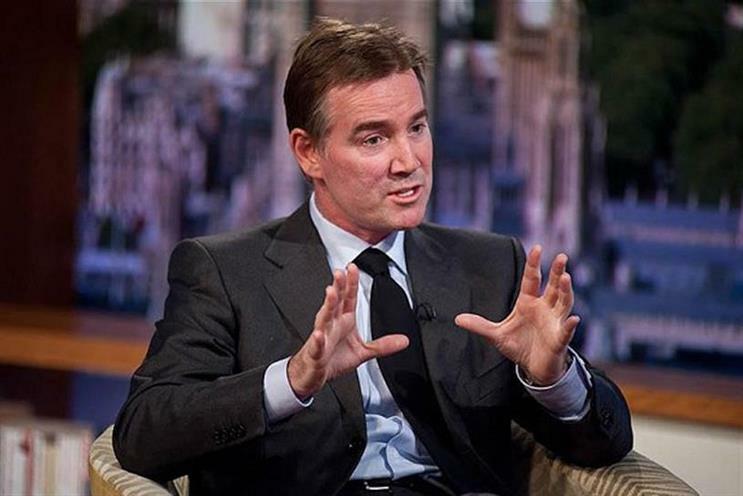 However, ITV said the second quarter should be "very strong" and Crozier felt uncertainty around the "Brexit" European Union referendum vote will not have much impact on advertisers' confidence. He also had some better news on share of viewing, which has risen 5 per cent on the main channel and 2 per cent on the ITV family of channels this year, after the latter fell by 3 per cent last year. He said TV advertising was benefitting from a number of factors. "I think there are growing concerns about how impactful digital advertising is and the impact of malware," Crozier said. Many of the tech companies are also "extremely envious of our ability to deliver mass audiences", he added, while admitting ITV needs to do more to offer targeted advertising such as programmatic. However, he said ITV's free-to-air reach is still key. "TV advertising absolutely remains the most efficient and effective medium for advertisers," he said, noting prices are "30 per cent cheaper" in real terms compared to a decade ago. He also pointed out how Google, Facebook and Netflix invested 60 per cent of their marketing budgets in TV and that there were 900 new and returning advertisers to TV last year. "TV has effectively become the high street window of businesses, and it reminds you of the power of TV." The ITV chief executive spoke in an earnings call this morning after the broadcaster published its full-year results for 2015. It has reported that its pretax profit was up 6 per cent year on year. Crozier claimed ITV had outperformed the ad market in 2015 with a 6 per cent rise in ad revenue. Thinkbox, the trade body, has reported the market was up 7.4 per cent last year but a source close to ITV said its own figures were based on its best estimate of pure spot revenue, rather than other forms of advertising and sponsorship. Crozier also insisted he does not see ITV as a takeover target despite boasting ITV Studios, which generates almost half of revenues, has become "the world's most profitable production business outside the US". He said: "I really don't think of us as a takeover target at all. If anything, we're a consolidator. I can't control what anyone else does." He added that "the best defence" is "to keep on doing what we're doing". Crozier said the Brexit referendum in June was unlikely to upset advertisers’ plans around the Euro 2016 football tournament and ad revenues should rise this year as the underlying economy looks "reasonably positive". He explained: "If you talk to the big media-buying agencies, if you talk to the major advertisers, as we do, there’s no doubt they’re still expecting a positive year." Euro 2016 and other sports coverage such as the Six Nations rugby are helping to bring in ad revenue. "A lot of brands and product sectors are very active around sporting events, particularly for men," he said, noting last year's Rugby World Cup coverage on ITV was watched by 74 per cent of men.